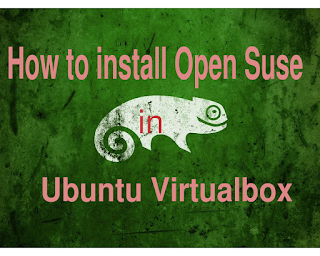 In this tutorial I'm going to share on How to install and run Open SuSe 42.1 in Ubuntu Virtualbox .If you don't have Virtualbox Installed on your Ubuntu system, please refer my previous tutorial on how to do so . 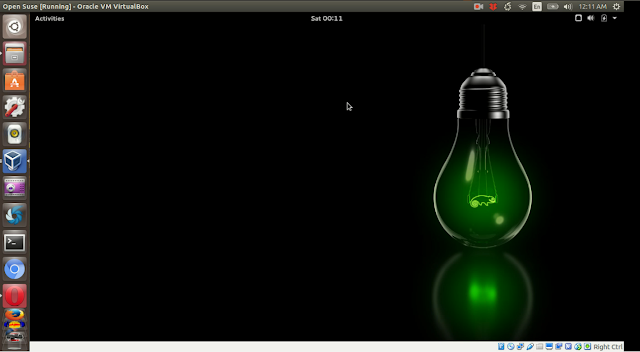 Download latest Open Suse Distro . 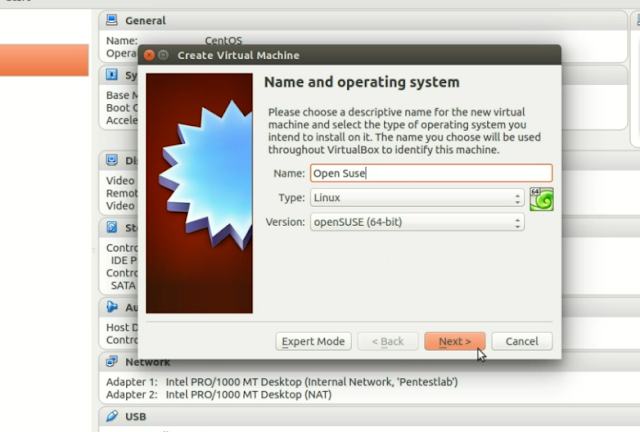 Set Virtualbox parameter for Open Suse installation . 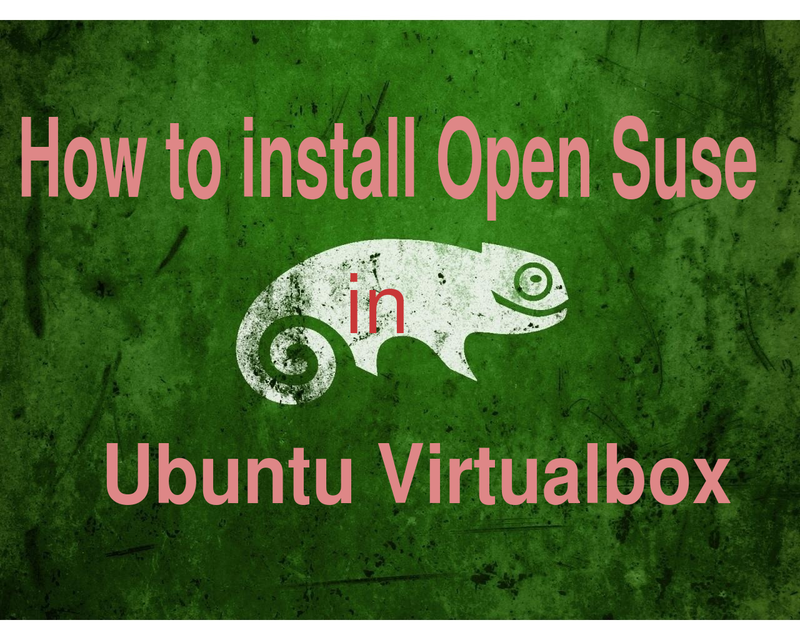 Install Open Suse in Virtualbox . Reboot system to run the installed Open Suse . 1)Download the latest Open Suse Distro . 1.1) Google Open Suse and look for the latest distro version . 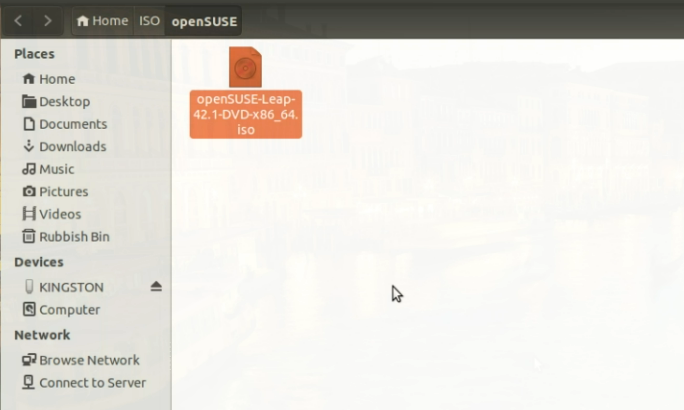 1.2) Download the latest Distro using the given link . 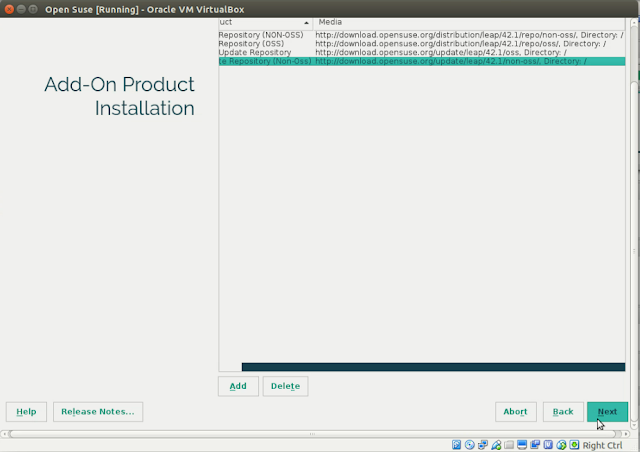 In this example, I'm downloading "Open Suse 42.1" . 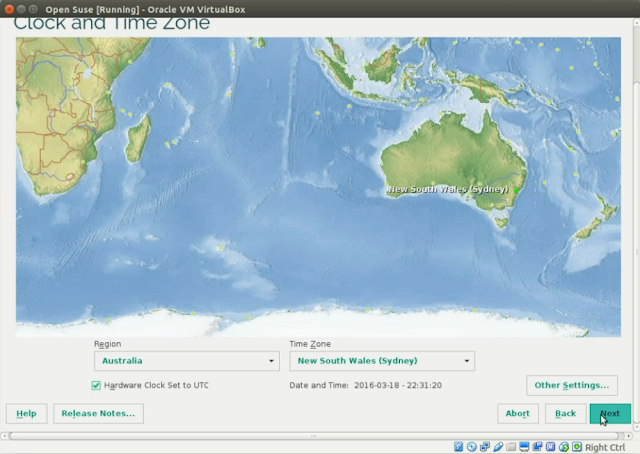 1.3) Move the downloaded file to your desired location . Open Suse in the newly created folder "/home/orca/ISO/openSUSE"
2.Set Virtualbox parameter for Open Suse installation . 2.1) Run Virtualbox. 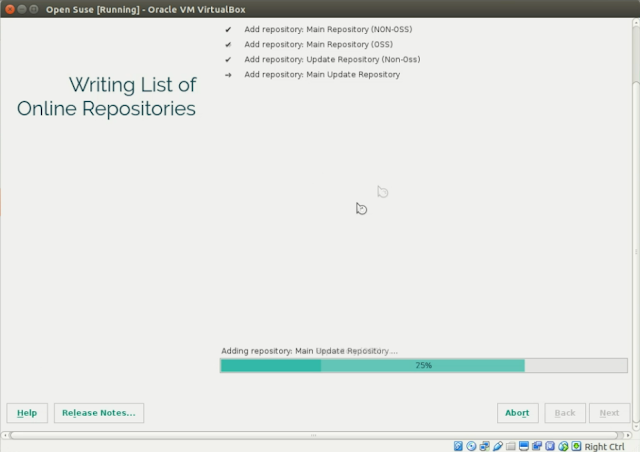 Click "New" to add a new Virtual Machine (VM). 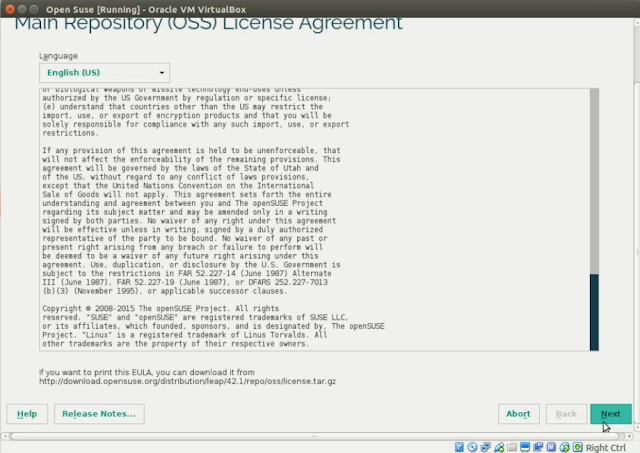 2.2) Add Open Suse details . Click "Next" to proceed . 2.3) Set the RAM memory size . 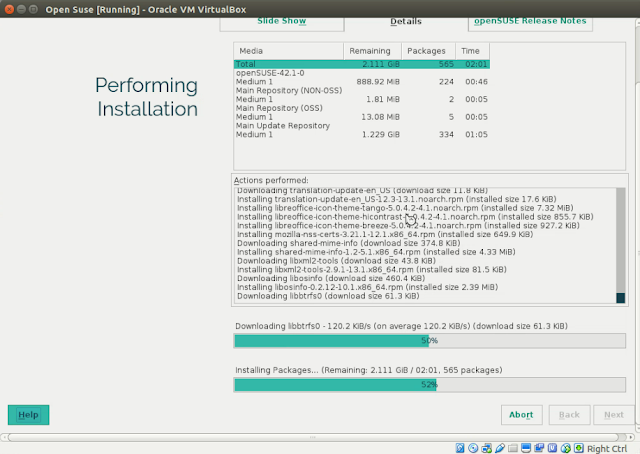 It is advisable to allocate more that 768 MB for Open Suse system . I set my system to run on 1Gb of RAM . Then Click "Next" . 2.4) Select "Create a virtual hard disk now" . and click "Create" . 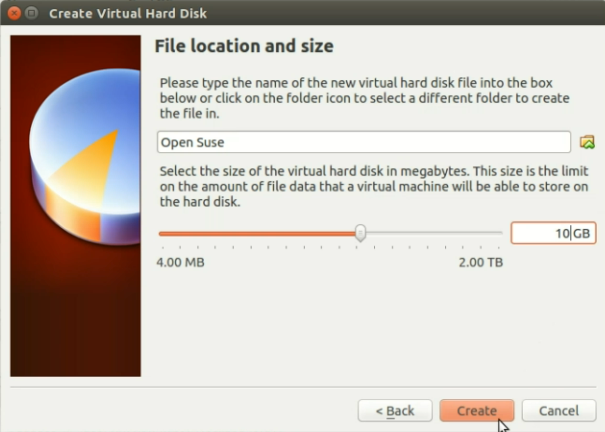 2.5) Next choose the hard disk file type . 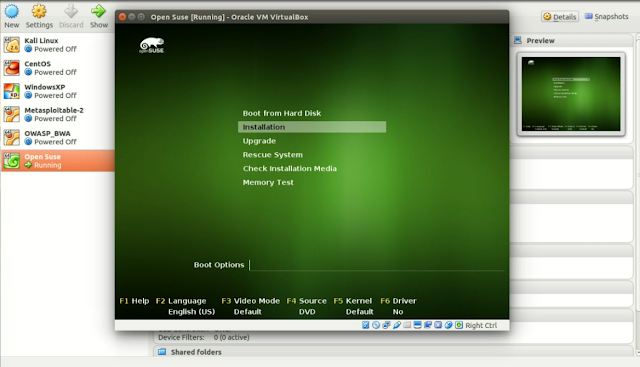 For this VM, I run on "VDI" or "Virtualbox Disk Image" . Click "Next" . 2.6 ) Set the storage to run on "Dynamically allocated" . Click "Next" . 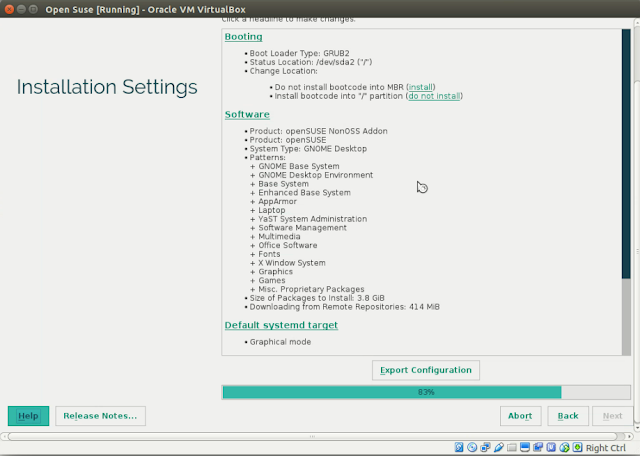 2.7) Set the file location and size . I choose my VM to run on 10GB of file size .Then click "Create". 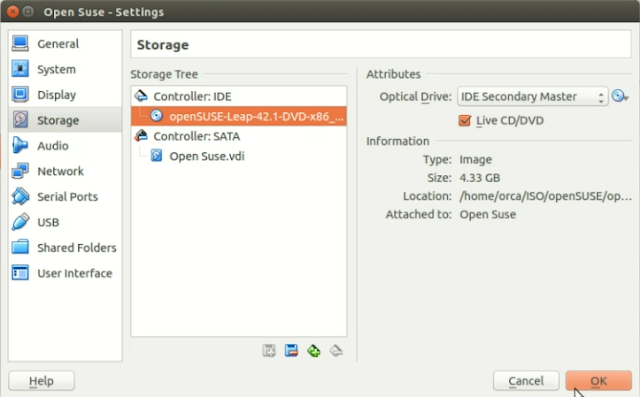 2.8) Then go to "Settings>Storage" and make sure Open Suse will run the downloaded file . Look for your downloaded file location by clicking the "Blue Sign" on the right hand side .Click "Live CD/DVD" and click "OK" . 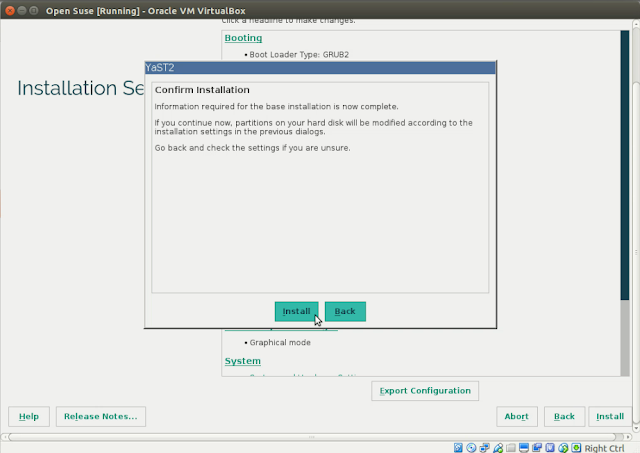 2.9) Run the Virtual Machine by clicking "Start" . 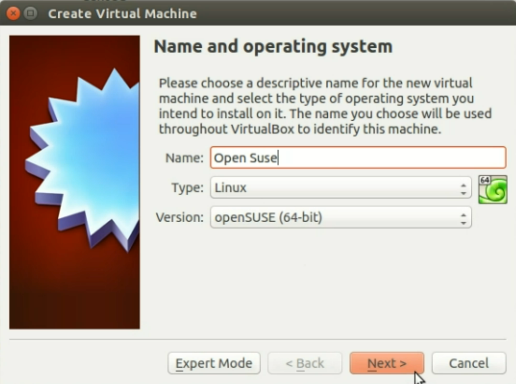 3.Install Open Suse in Virtualbox . 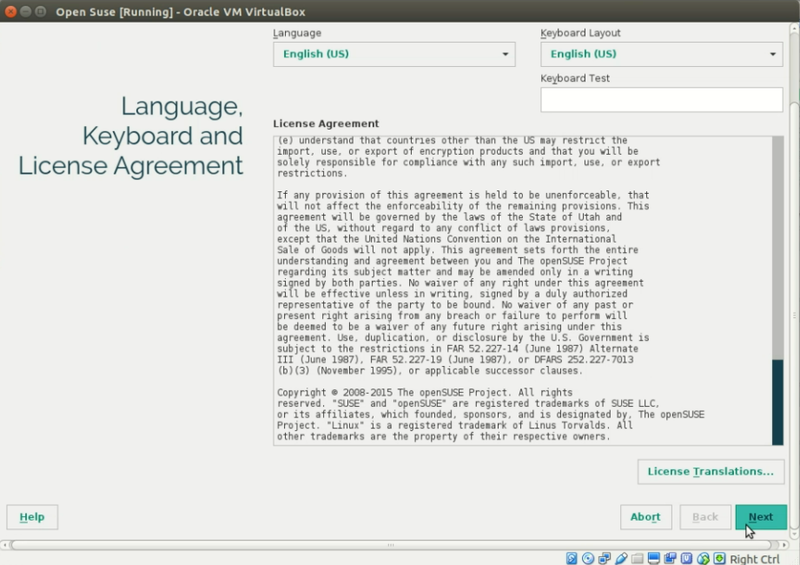 3.2) Set the keyboard language and click "Next" . 3.3) Set the installation options and click "Next" . 3.4) Set the partitioning and click "Next". I'm running on a default partition as I'm not using it as my host system . 3.5) Set the Clock and Time Zone and click "Next" . 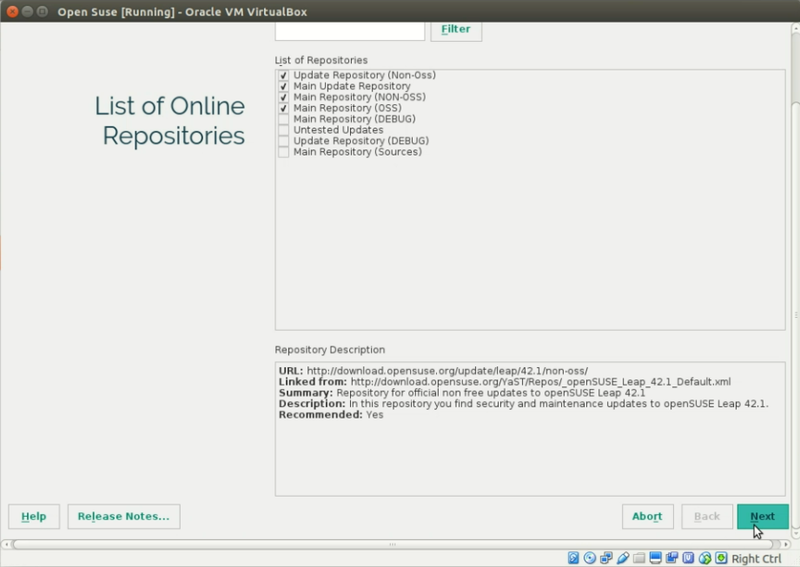 3.6) If you tick the box in step 3.3 to add online repositories, you will be presented with the list of Online repositories. 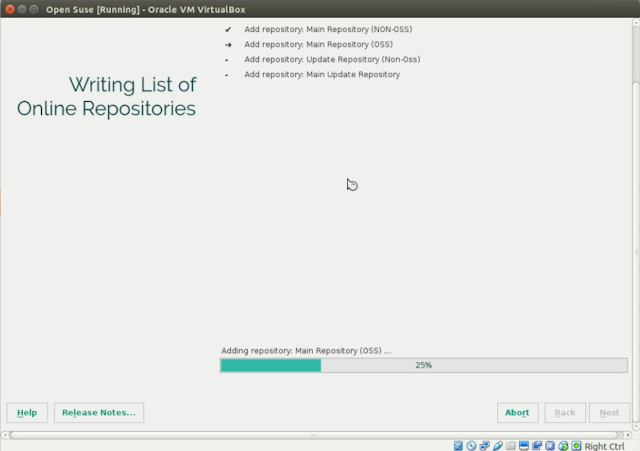 Set the repositories and click "Next" . Click "Next" for the Repository license . 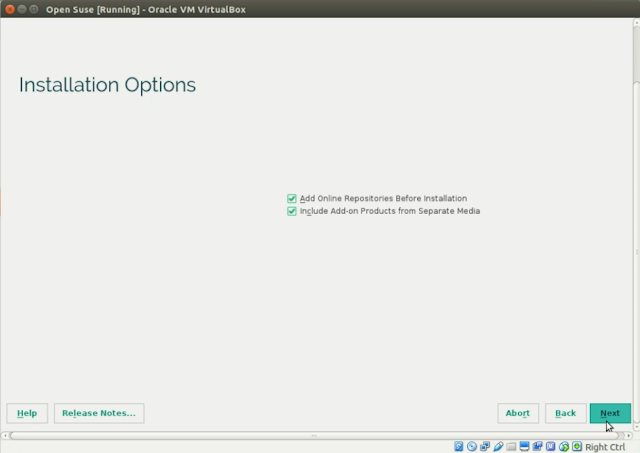 3.7) Next if you tick the box Add - On Product in step 3.3, you will be able to look for any additional add on package that you want to use with your system . 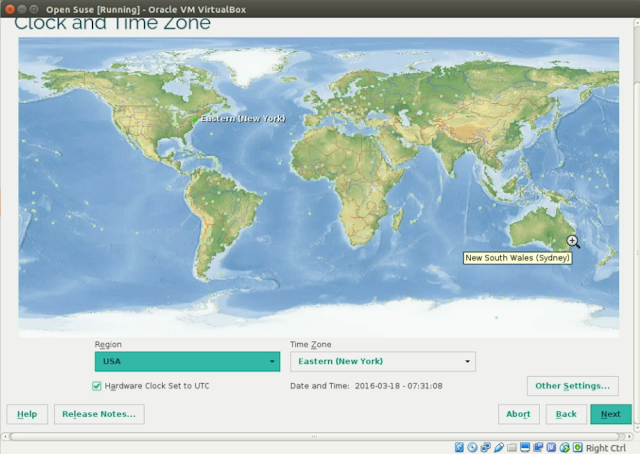 Click the "Add" button to add more package or click "Next" to proceed. 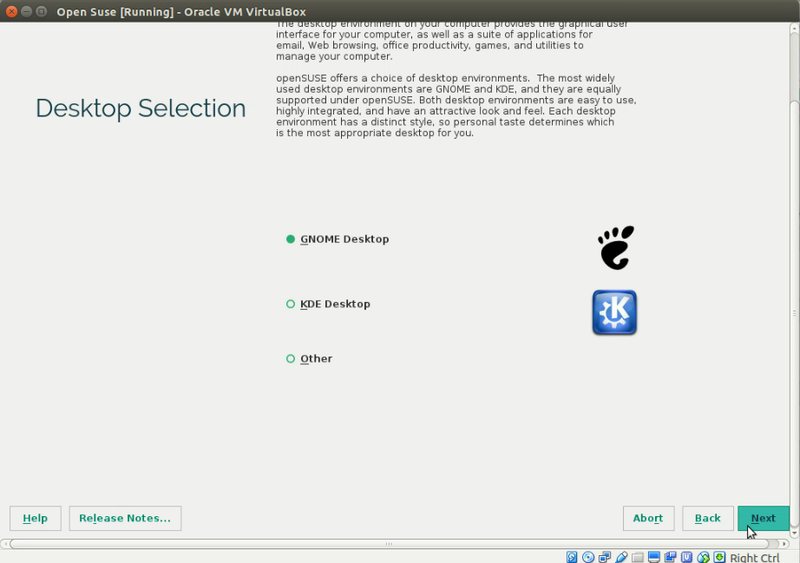 3.8) Choose the Desktop Selection for Open Suse. If you are a beginner and looking for the simplicity of use and stability, i would suggest you to run on Gnome . If you are looking for more options and function for Desktop daily use, KDE is your best bet . Click"Next" to proceed. 3.9) Create a new user . 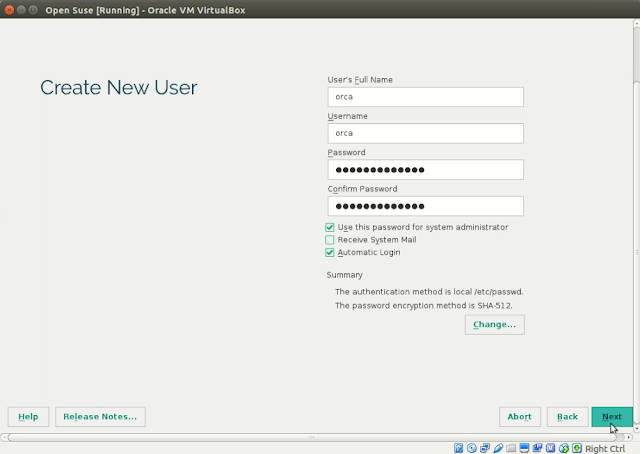 You will be using this user as your "root" . 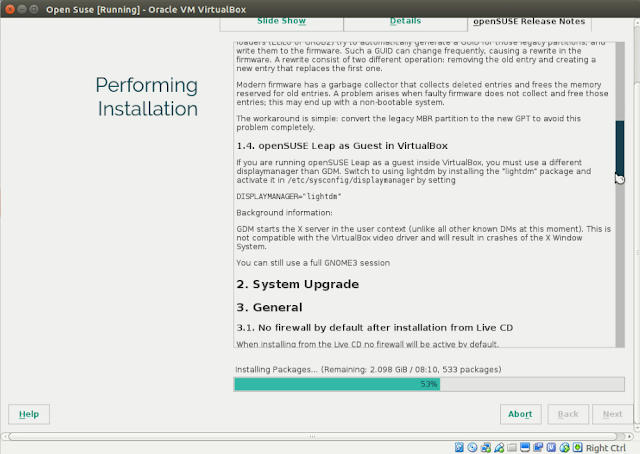 3.10) Check the final setting before proceed with the installation process. 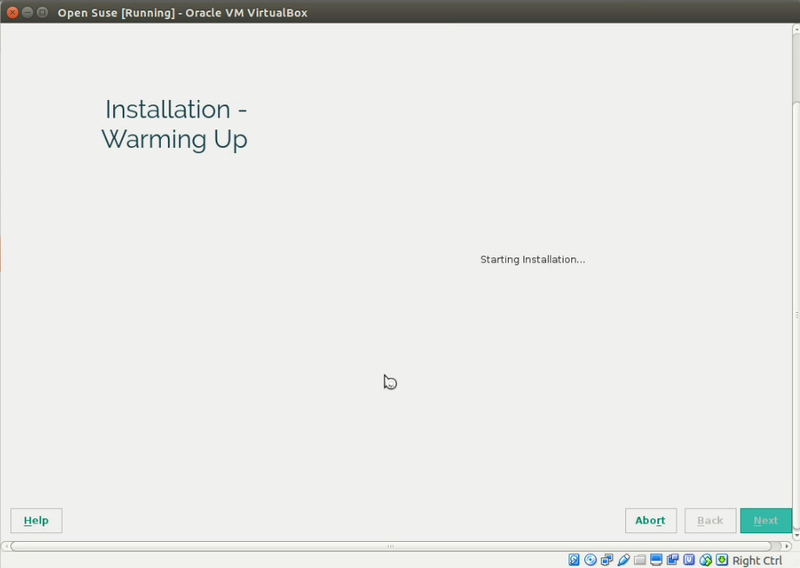 Click "Next" to proceed with the installation . You can view the Installation Details by clicking the "Details" panel . 4.Reboot system to run the installed Open Suse . 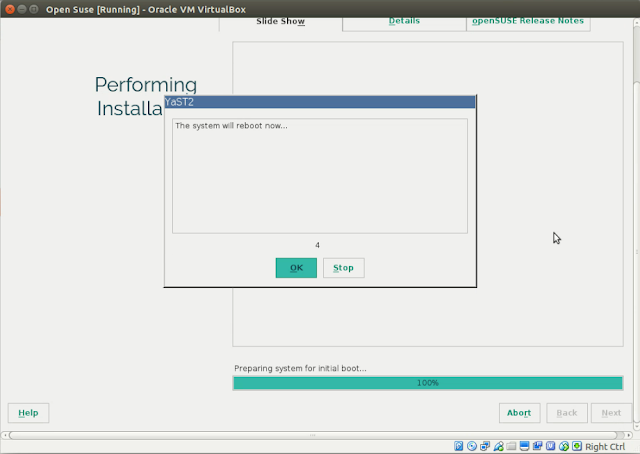 4.1) Once the installation completed, you can proceed with the reboot by pressing "OK" . 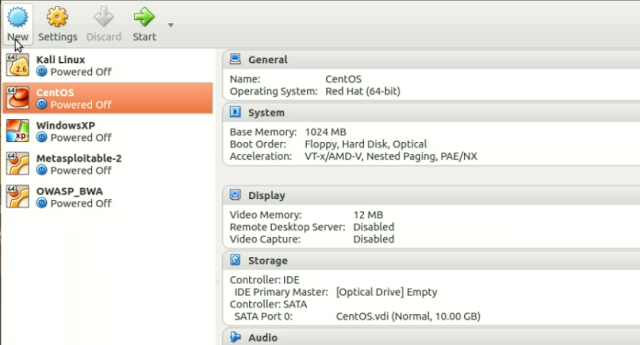 4.2) Choose to "Boot From Hard Disk" . 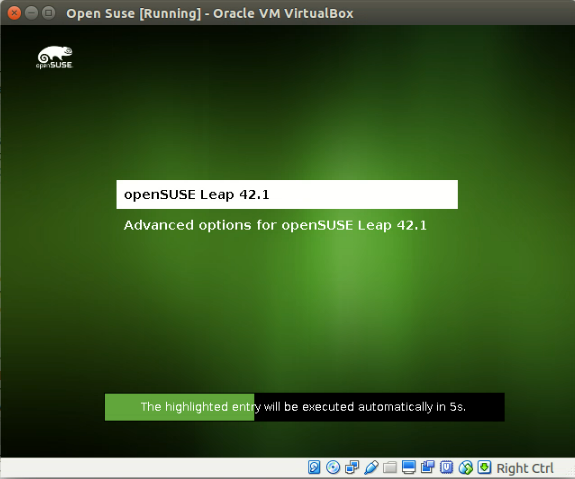 4.3) Choose "OpenSUSE Leap 42.1" . 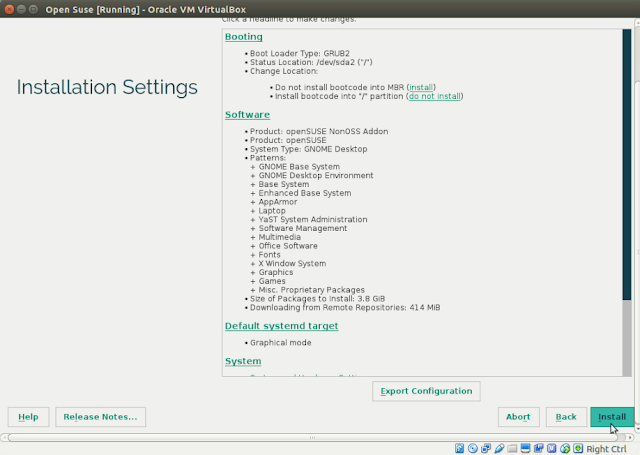 4.4) Once the system finish loading up, you are on the latest Open Suse system installed in your Virtualbox. 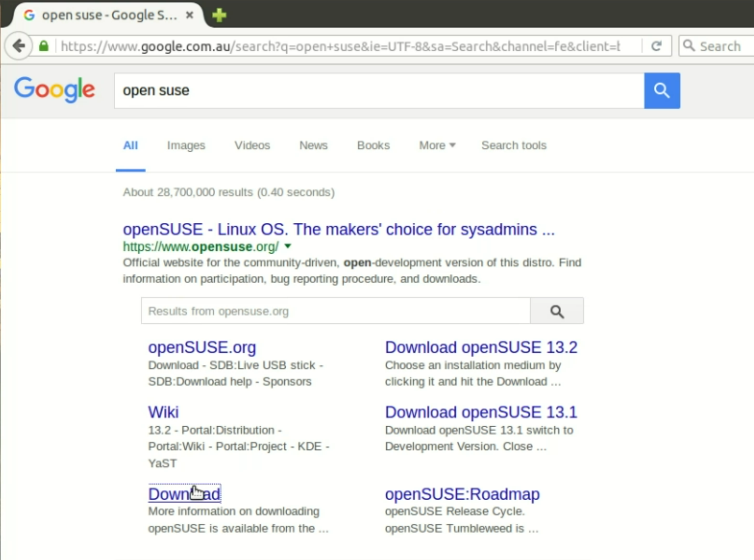 Read Next : How to change Open Suse Host and Domain name.